The continued push towards best execution across multiple asset classes has been gaining momentum and the role of best execution analysis has become quite clear. The guidance provided by the European Securities and Markets Authority (ESMA), for example, introduces the concept of considering available liquidity in best execution, which is a major change from the previous regime of having a general policy. This concept will force best execution analysis to accurately measure the market conditions that exist for every order, increasing the demand for both data collection and market connectivity. Additionally, the codification of best execution as a fiduciary obligation for any asset owner of institutional investment portfolios is a major step forward. These and other regulatory pressures are mounting across the major regions, and as electronification and market structure changes expand globally, firms will have to commit to building the basic foundation to ensure regulatory compliance. Beyond simple compliance, however, forward-looking buy-side and sell-side firms are exploring their ability to develop future-proof best execution frameworks as a potential competitive differentiator, which can help them generate additional revenue. The significance of best execution goes beyond the buyside community to include sell-side service providers, trading technology platform vendors covering these buyside customers, and markets including exchanges and Multilateral Trading Facilities (MTFs). All should be aware of its importance. Defining best execution is similar across asset classes. Trades of illiquid fixed income securities that use Request For Quote (RFQ) methods are quite different from liquid instruments that can be compared using historical trade and quote data. Despite claims that for institutional equities best execution is not easily measurable, statistical analysis of orders and executions in the context of the market can be quite accurate in evaluating best execution. This type of analysis is not meant to be a precise method for evaluating individual trades but the goal is to measure the performance of strategies, algorithms, traders and venues over time. Ability to achieve best execution can result in significantly improved performance across any portfolio with exposure to either a single asset class or across assets. The more integrated that prediction and measurement of transaction costs is in the investment process, the more it can improve performance. Best execution is a shared responsibility between sell-side firms and their clients. However, it should be noted that the fiduciary responsibility to enforce best execution policy resides with asset owners. Best execution includes both the decision to choose the right investable instrument and the most appropriate trading strategy to implement that decision. Choices should be based on finding instruments and using strategies which are most compatible with an end user’s internal systems and work flows. Best execution does not merely mean best price. It also includes the ability to settle trades via straight-through processing (STP) with consistency and without error. Transaction cost analysis (TCA) has been used for more than 20 years in the equities market. Investors wanted to gain a better sense of how the execution of their trades impacted their portfolio performance. Institutional asset managers, which have an obligation to achieve best execution for the assets they manage on behalf of their clients, have long employed TCA as a tool to measure execution quality in equities. Pre-trade benchmarks that measure implementation shortfall that have been constructed using industry averages should be upgraded to be more specific to individual firms. TCA that evaluates trading compared to participation based benchmarks, such as volume weighted average price (VWAP), while providing some value, is not sufficient. The goal should be to compare execution quality to the pre-trade expectation of cost. To understand why trading costs should be part of the initial trading decision is simple. If the predicted trading cost to enter and exit a position becomes greater than the predicted “alpha” (outperformance of the benchmark) then the trade would make little sense. Quantitative fund managers refer to this phenomenon as understanding the “capacity” of the fund to invest. They are careful to have a market impact model built into their investment process to avoid such risk. As a result of a growing recognition of the potential of trading costs to reduce or eliminate manager outperformance, TCA adoption is becoming more popular across different asset classes and is only set to increase as market developments such as liquidity fragmentation, technological advances, and regulatory changes continue to drive the need for better analysis. The US Dodd-Frank Act, Europe’s European Market Infrastructure Regulation (EMIR) and second Markets in Financial Instruments Directive (Mifid II) have created an opportunity for multi-dealer trading platform providers to register themselves or, eventually, their affiliates as swap execution facilities (SEFs) or multilateral trading facilities (MTFs). Although the final stages of Dodd-Frank rulemaking regarding OTC derivatives trading (i.e., swaps on SEFs and clearing via CCPs) have not been fully completed, industry participants recognise that the costs are high to set up the proper infrastructure to facilitate smooth trading, clearing and settling. The Dodd-Frank Act, EMIR, Mifid II, and other, similar regulatory reforms contributed to the changing market dynamics that are ushering in the next phase of OTC-to-exchange-style trading and centralised clearing. This transformative movement poses the next challenge for market participants and the execution venues that they use to demonstrate that they are achieving best execution. Electronification is imminent for the global capital markets. Advanced trading technologies have already begun to make an impact, with algorithmic strategies and smart-order routing (SOR) gaining popularity. With more choices for execution, traders have to overcome market fragmentation. To make the most effective decisions related to best execution, traders need specific analysis of each tool and venue they use. TCA systems that analyse the SORs for efficiency of finding liquidity, venues for fill probability and opportunity costs and order types for information leakage and market impact are becoming vital. These systems will either support or provide constructive input for changing the trading choices made on behalf of portfolio managers and, ultimately, to the asset owners to whom they have a fiduciary duty to ensure best execution. In the US equities market, the regulatory requirement to prove best execution has driven much of the adoption of TCA. Along the way, TCA has evolved into a tool that enhances transparency in the execution process, providing detailed indications on overall performance and valuable insight into how certain trades achieved best possible execution, given external market conditions and internal restrictions. Implemented in November 2007, Mifid I introduced a harmonised best execution policy for broker-dealers and asset managers across Europe. This regulation has provided a cornerstone among asset management firms using TCA to ensure they are getting best execution from their broker dealers and providing their clients with best execution. Conventional wisdom dictates then that increased regulation is likely to increase TCA usage within asset management firms. Recently, under the new Mifid II Level I text issued in April 2015, the criteria for best execution has become even tougher. The regulation states that investment firms, when executing orders, have to take all sufficient steps to obtain the best possible result for their clients. This should take into account price, available liquidity, costs, speed, likelihood of execution and settlement, or any other consideration relevant to the execution of the order, whether trading occurred on or off exchange. This is a big challenge, particularly in today’s fragmented equities market with lit (listed exchanges) and dark pools of liquidity. Expansion into fixed income is certainly a game changer for quote-driven (RFQ) markets such as fixed income, currencies and commodities that operate mostly in an OTC market environment. These markets feature extensive voice-trading indications, rather than trade prints, which makes tools that leverage evaluative pricing algorithms critical for demonstrating best execution. 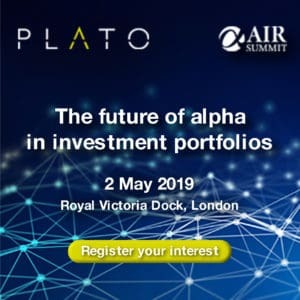 The best execution requirements, innocuous in themselves, will be introduced to the bond and derivative markets (comprising asset classes as diverse as government, corporate, high-yield and emerging market debt, asset-backed securities, and OTC-traded derivatives – which can be both liquid and illiquid, depending on the instrument, maturity and market conditions). Asset managers are pressuring TCA service providers to implement similar analysis in other asset classes, including FX, derivatives, and fixed income. This will not be an easy task. What is interesting about these points are that they mirror the challenges faced by the dealers in these markets. Those dealers commit capital to facilitate trades and manage the resulting risk. As a result, it makes sense to use evaluative pricing models that consume pricing data from multiple dealers across the spectrum of related instruments to evaluate trade quality. TCA based on a combination of such a pricing model along with algorithms that incorporate time series quote and trade data, can provide a solution. While such a TCA platform is still not “plug and play” due to the structural friction in OTC markets, it can provide a feasible method for buyside firms’ senior management and boards to demonstrate best execution to their clients, as part of their fiduciary duty. Overall complexity in the market, combined with general lack of available market data from a centralised/regulated source is driving the evolution towards sophisticated pricing models that use both dealer contributed and electronic data to support best execution determination. Regulatory mandates are pushing more liquid parts of the OTC market to become more electronic, which has created additional data sources (albeit limited) that can be incorporated into building out a best execution framework. 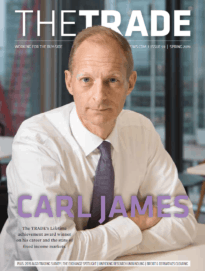 As the OTC markets become more regulated and standardised, similar to what we have witnessed in the equities markets, firms will need to think about best execution analysis and TCA as essential parts of their risk management process, particularly as execution analytics move from post-trade to the entire trade lifecycle. As regulation across the globe looks to push more assets into an equity-like structure that involves pre and post-trade transparency, best execution analysis will be applied across these products. The emergence of SEFs in the United States and organised trading facilities (OTFs) in Europe are part of the process of increasing transparency in certain OTC markets, which will aid the use of TCA in these markets.